BRYAN EATON/Staff photo. 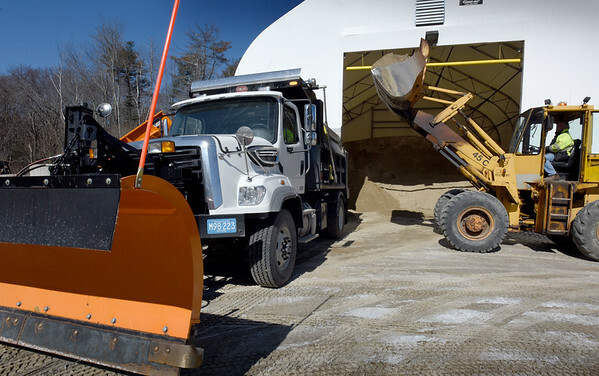 Salisbury DPW employee Ray Cote loads sand into the department's new truck driven by Miles Bradbury to prepare for Tuesday's snowtorm. Over a food of snow is expected throughout there with gusty winds.